Wondering if anyone knows anything about these. I bought these for next to nothing. Worth anything, or worth selling? Or should I just be the proud owner of some new calipers? There is huge range. Depending on brand. Mitutoyo is moderate priced new. Prolly 100$ if the right model. Same with the indicator. They all look like good brands. Not the cheap stuff. If you are a serious woodworker then keep them around. New maybe 250 to 400 for the lot. I’m a hobby woodworker. Already own calipers and dial indicator. Definitely doesn’t hurt to have more around though. I paid virtually nothing for them (bought a whole pile of stuff for $60). Keep them. I like having calipers handy. Good find, keep all of them because …. 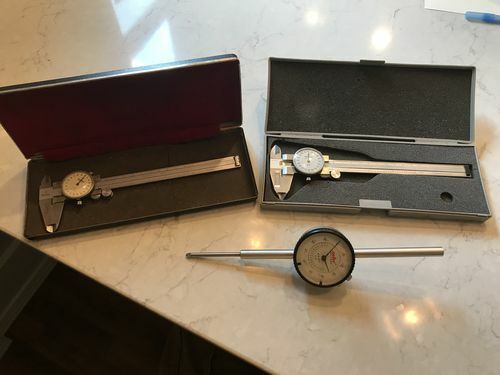 I have three 6” (2 digital, one dial, 1 vernier), one 12” vernier, one 23” vernier, and I wouldn’t part with any of them because you never know …. ! But I only have one dial indicator. I will respectfully disagree with the above sentiments. If the calipers and dial indicator that you currently own suit your needs, I would sell them and use the funds for something for your shop. Consider it mad money and maybe splurge on something that you have a always wanted but couldn’t justify buying. I say this because I currently have a few drawers full of estate sale finds that would be “nice to have around” but rarely get used. The dial indicators are good to have in the shop but around wood/dust I prefer digital calipers. The problem with a dial is that if they get chips in the tiny rack , the needle will jump a tooth and each tooth is .020. That second one has had that happen because the zero is now off center – probably .020”. If it would happen a lot the zero will be on the bottom and make them harder to read. You can slip them back to zero with a fine piece of shim stock. The advantage is they don’t need a battery and they are very accurate. The drop indicator is a good one. you’ll want to make use of that in your shop for measuring- I use mine on the router table for height and measurement. I’d keep one of the calipers and the drop indicator . I might just throw one of them up for sale and see what I can get for it. I dont use calipers that much. 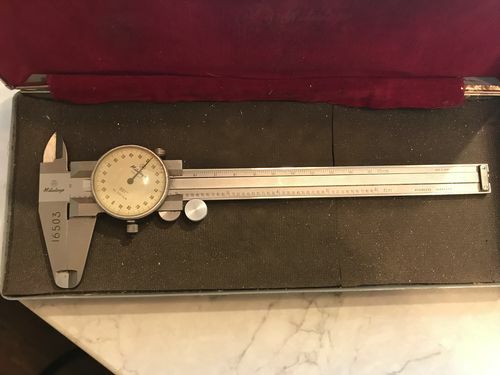 I already have a digital caliper (its a cheap one though). Maybe I’ll keep one and try to sell the other…Either way, it doesnt matter too much. I paid like $2 for each of them. I’m with Rick. Keep one caliper, sell the rest. That is, unless you see yourself doing precision metalwork at some point. Personally, I stick with dead tree carcasses. Not actually worth much. In metal working everyone has pretty much moved to digital. 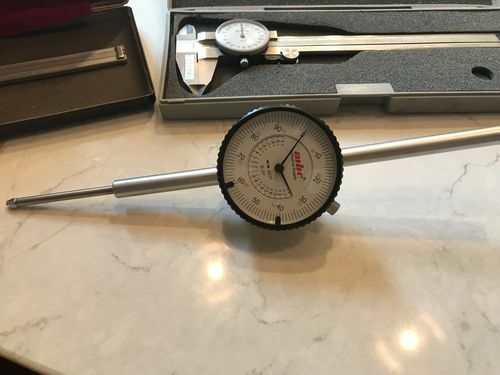 A dial indicator with mag base is about $50 new and $10-$30 at auction for a standard tolerance. 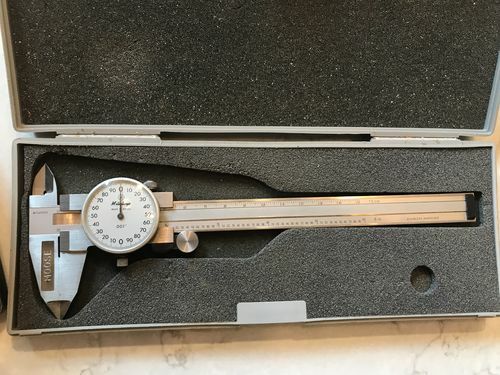 Dial Calipers are under $30 new and $10-$15 at auction. They are all still very useful but like vernier calipers, 8-tracks, and flip phones they’ve been replaced with newer easier to use technology. They sure look nice but the digital HF cheapies are probably more practical and accurate. Sell ‘em and buy stuff!